TRACE was established in 2006 as non-profit organisation dedicated to the promotion of forensic science in wildlife conservation and law enforcement. We have a global remit for the development, dissemination and implementation of forensic tools to help tackle wildlife crime. To reduce illegal trafficking and persecution of fauna and flora through the coordinated application of scientific techniques in support of wildlife crime investigation. To encourage the use of forensic techniques in wildlife investigations, surveys and legal actions. To establish an international network of wildlife forensic practitioners and other wildlife crime stakeholders, offering a central contact point for information. To rapidly disseminate research results and scientific papers relevant to wildlife forensics. To obtain financial support for funding of wildlife forensic activities and sustaining the TRACE network. To enable capacity building in regions where wildlife forensic techniques are currently limited. To promote a coordinated approach to wildlife forensics at national and international levels. 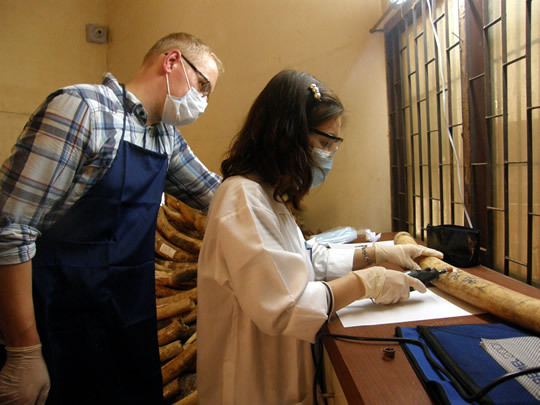 To establish training courses in all aspects of wildlife forensics. To encourage the use of standardised and validated protocols between laboratories. To encourage the exchange of reference data and samples between TRACE members for enforcement applications. TRACE coordinates and partners on multiple wildlife forensic projects in Europe, Southern Africa and South East Asia focusing on a diverse range protected species. For information on the latest projects we are involved in see the Project Links page.